The work of First Things First is rooted in a profound respect for tribal sovereignty and a commitment to working in collaboration with Arizona’s tribes to ensure that young children entering school in tribal communities are healthy and ready to succeed. The statute that created First Things First empowers Arizona’s Federally Recognized Tribes to decide how they would like to participate in the regional structure of First Things First. Tribes can elect to have their lands designated as a separate regional partnership council – a tribal region – or they can elect to participate in the designated FTF region or regions in which their tribal lands are located – FTF regions affiliated with Tribes. First Things First acknowledges self-governance as expressed by the right of Arizona Tribes to make their own determination whether or not to become their own FTF region. Nineteen Arizona Tribes have elected to participate in First Things First. In addition, every First Things First regional partnership council whose designated geographic area includes Tribal lands must have at least one Tribal representative. 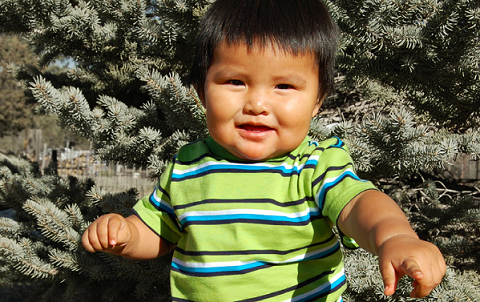 Several programs aimed at improving the quality of early education environments, including scholarships to enhance the professional skills of teachers working with the youngest tribal children. 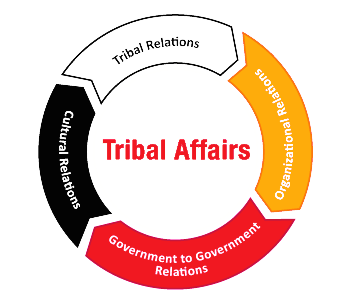 Tribal Affairs is an integral component of First Things First. Candida Hunter, our senior director of tribal affairs, serves as a link to tribal governments, Indian organizations, the general public and FTF staff. She can be contacted at 602.771.5034 or cahunter@firstthingsfirst.org. Working with tribal partners, such as other state agencies, the Inter Tribal Council of Arizona and the Indian Health Service, to provide information and resources related to the work of First Things First. Facilitating partnerships and educating both the public and private sectors on FTF programming in tribal communities.